More accurate image coming soon, complete with dumpster damage! The 1996-2003 BMW 5-series, generation E39, is said to have at once created and perfected the balance between luxury and performance. I don’t know about that, but they are Germanic in many ways – well-assembled, handsome, capable, and stable. 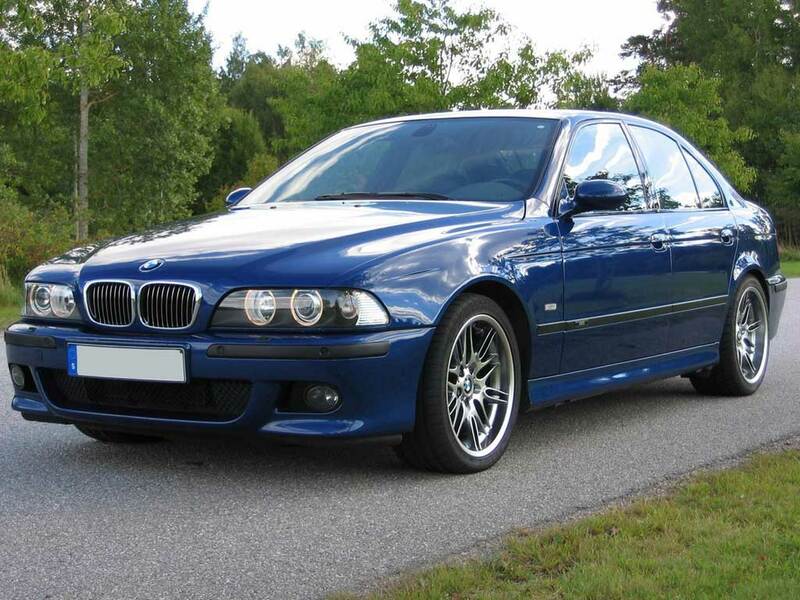 The E39 is Germanic in other ways too – difficult to diagnose, complicated, expensive, and narrow in operating range. An example – the trunk lid has a diagram of how to properly put three golf bags into the trunk, when in reality the image should show how to put whatever parts of the car you’ve had to remove to work on whatever has broken which they’ve hid behind said parts. Another example is the headlamps. Self-leveling Xenon low-beams with Corona rings that were the first in the industry to implement a ‘halo’ design for the parking lights – a classy design if you ask me. Unfortunately, the headlights are sealed assemblies and the plastic pieces that connect the low-beam carriage to the adjuster become brittle over time and break. The headlights also use a network of fiber optic cable to create the halo lighting and illuminate the side marker lamp from a single bulb. As a result, each headlight assembly costs $750 or more.